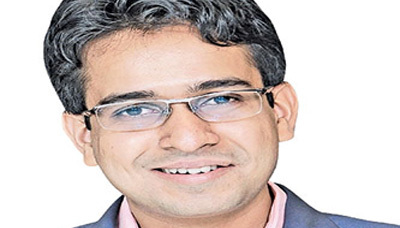 Logistics industry in India is evolving rapidly, despite weak economic sentiments, the sector continues to witness growth, says Sumit Sharma, Co-founder, GoBOLT. The global logistics sector was expected to grow 10-15 per cent in the period 2013-14. Logistics industry is expected to reach over USD 2 billion by 2019. Rise of e-commerce logistics and increased domestic consumption will lead the way for the industry in the coming years. 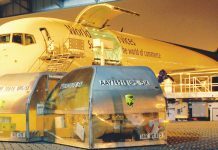 With a promise of growth and improvements, the service oriented logistics industry is ready to expand beyond the horizons in the latter half of this decade. The most essential challenge faced by the industry today is insufficient integration of transport networks, information technology and warehousing and distribution facilities. Regulations exist at a number of different tiers, is imposed by national, regional and local authorities. However, the regulations differ from city to city, hindering the creation of national networks. Trained manpower is essential both for the third-party logistics sector as well as the manufacturing and retailing sectors, which is very weak at a practical level, i.e., IT, driving and warehouse as well as at a higher strategic level. The disorganised nature of the logistics sector in India, its perception as a manpower-heavy industry and lack of adequate training institutions has led to a shortfall in skilled management and client service personnel. There is a lack of IT standard, equipment and poor systems integration. Poor facilities and management are the reason for high levels of loss, damage and deterioration of stock, mainly in the perishables sector. It is essential to prioritise research and development so that the weaknesses in the industry can be taken care of and improved. Good storage and Warehousing facilities are important for the growth of the logistics industry. With the increase in the transportation of perishable products, the logistics agencies needs to give a lot of importance to enhancing the Warehousing facilities. Warehousing is required to go to the next level taking into account the changing dynamics of JIT manufacturing, global procurement and new models of sales and distribution. Emphasis on research and development is potent. The logistics firms are moving from a traditional setup to the integration of IT and technology to their operations to reduce the costs incurred as well as to meet the service demands. To support India’s fast paced economy growth of logistics industry is very essential. It is estimated that the Indian logistics industry will continue to show robust growth of 10-15 per cent annually, leading the pace of growth of the economy at large. With a new government many policies are expected to be implemented which will give a fresh impetus to India’s growth engine particularly in the corporate and SME sector which in turn will expand demand for the logistics sector. 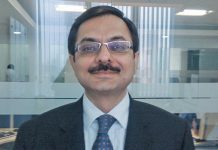 1 year: How did GST fare for logistics industry?